Helping kids understand and feel confident multiplying large numbers is a challenge. After teaching kids with visuals and hands on models, they need lots of practice. 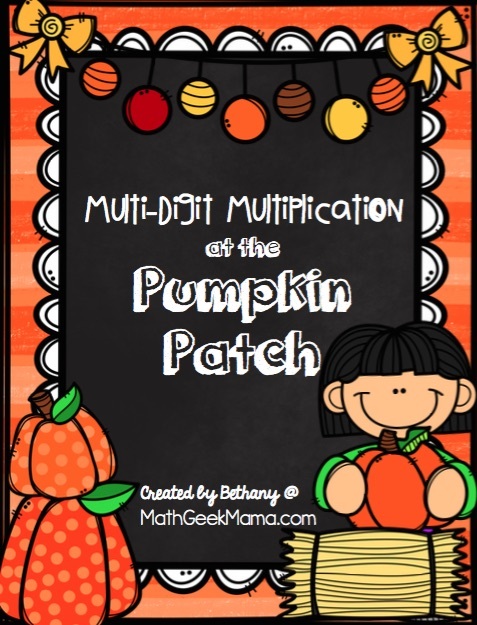 That’s why I created this cute set of Pumpkin Patch multiplication pages. 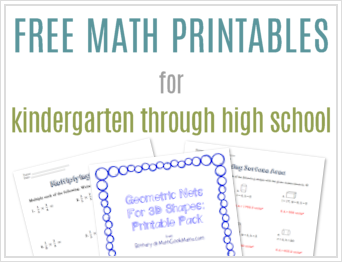 This variety of multi-digit multiplication worksheets covers several different skill levels, helping you to meet your kids where they are. Plus, allowing them to cut and paste makes it a little more engaging than a typical worksheet, while also allowing kids to self-check. 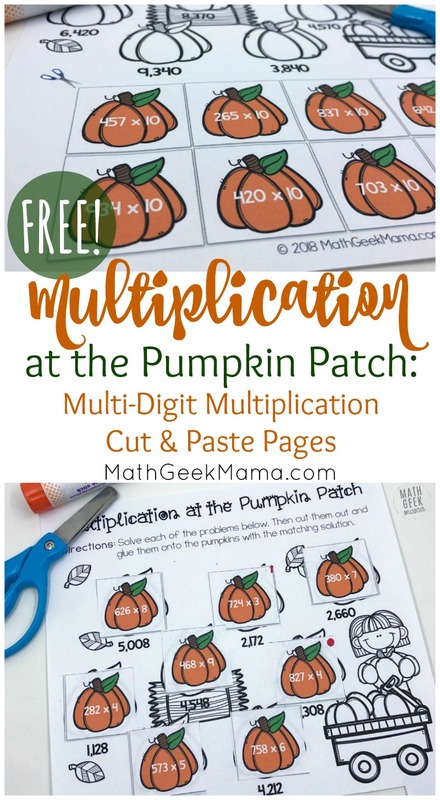 This set of multi-digit multiplication worksheets includes 4 different cut and paste practice pages. The first page includes 2-digit times 1-digit problems. The second page includes 3-digit times 1-digit problems. The third page includes 3-digit numbers times 10 problems. I think this is an important skill that needs to be explored and practiced independently before moving to more challenging problems, as it will help with mental math abilities. Finally, the last page includes 3-digit times 2-digit problems. To begin, kids cut out the pumpkins at the bottom of the page. They then solve each multiplication problem. I allowed my daughter to work out each problem on a white board. This is usually something my kids enjoy doing, and helps them to feel less anxious about making mistakes. 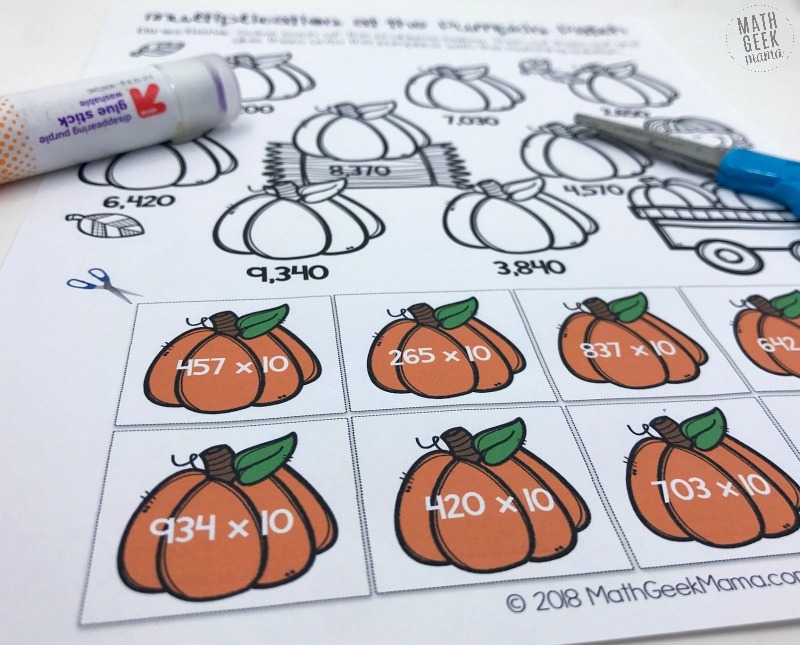 If you don’t have individual white boards, however, kids can solve each problem on the back of their pumpkin patch page or on a separate piece of paper. Or if you are working on the single-digit practice or the “times 10” page, you could encourage kids to solve them using mental math skills. Once a problem is solved, they find the solution on their paper and glue the colored pumpkin onto the pumpkin outline. I designed these pages so that even after glueing each pumpkin down, the solutions will still be visible. 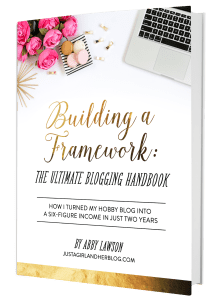 This is to help everyone check their work together. (And help you to see at a glance if they’ve matched them correctly). 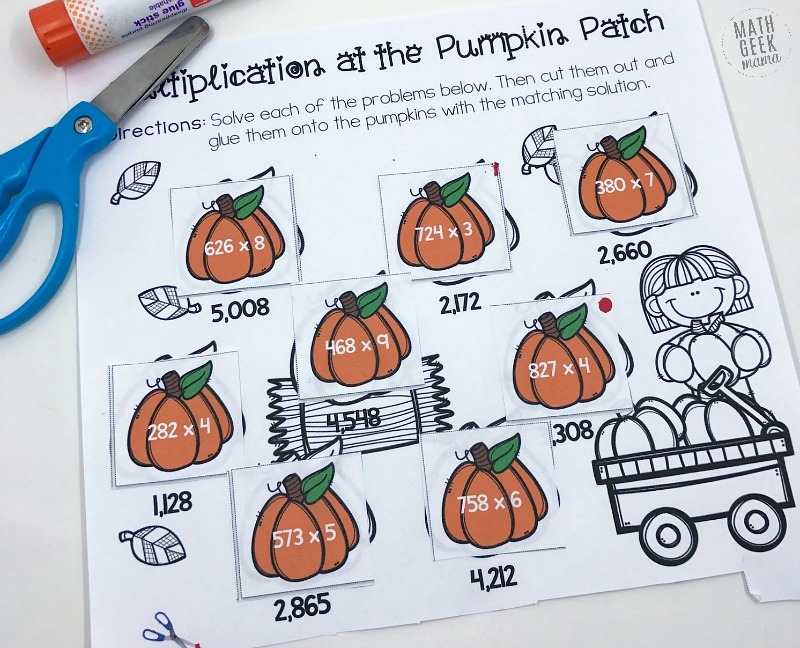 This makes this a great self-checking activity because if students solve the problem incorrectly, they will know right away because they won’t see the solution in their pumpkin patch. If this is the case, they simply go back and try again, or look at their work to try and find the error. 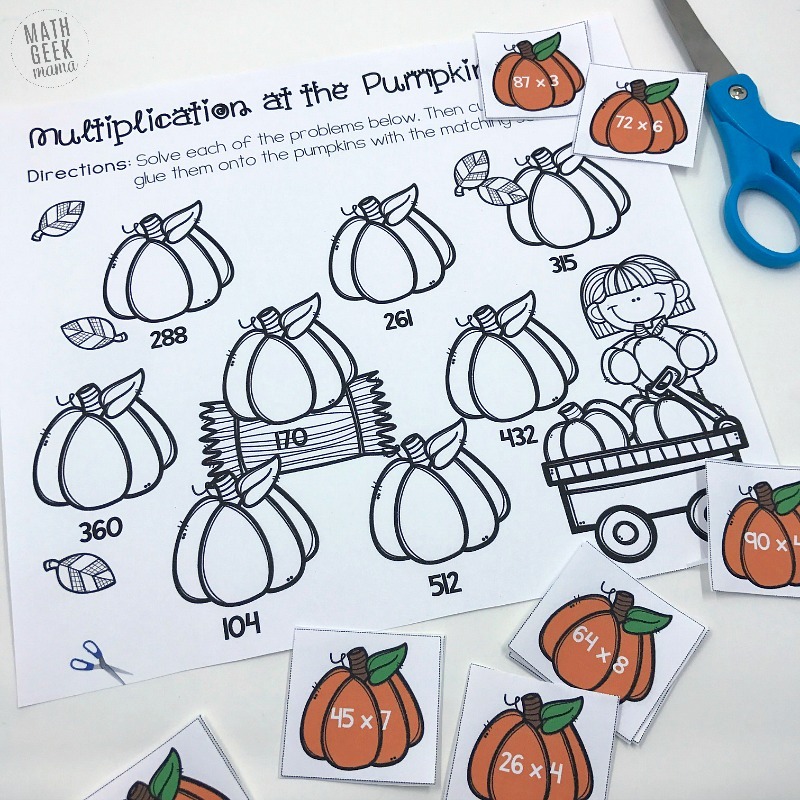 And although this set of multi-digit multiplication worksheets has a fun fall theme, you could certainly use this any time of the year if your students need additional practice. 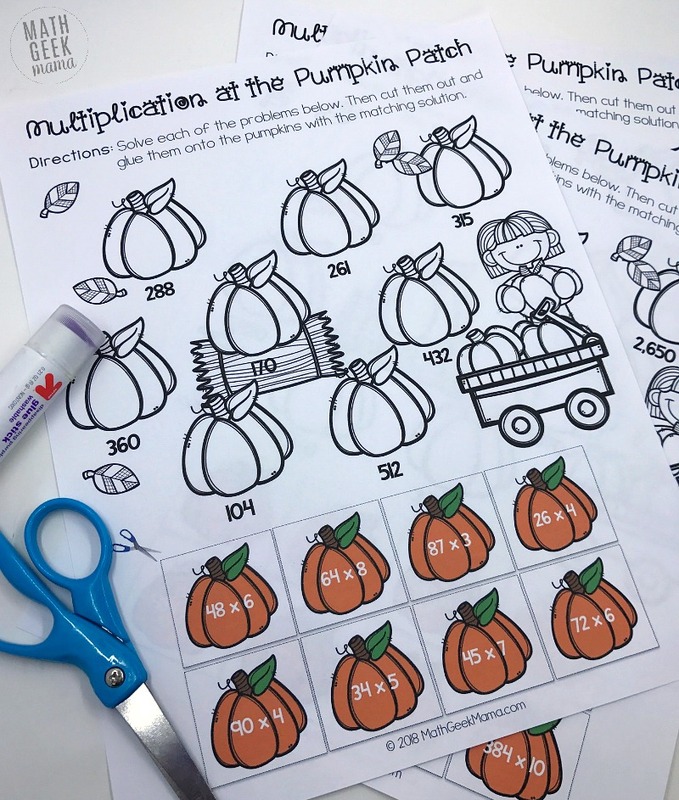 But if you’re looking for multi-digit multiplication practice without a fall theme, try this low prep game! >>Learn more about the multi-digit multiplication game HERE. You might also like this set of super simple practice games using a Tic Tac Toe board. It includes practice with addition, subtraction, multiplication and division. 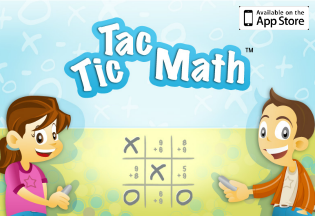 Learn more about Tic Tac Math HERE!